I could eat bread with every meal. Just add a little butter, cheese or even fresh veggies to feed my bread addiction. So when I discovered this Artisan Bread recipe recipe from Its Always Autumn I knew I needed to add it to my must try list. It does not get any easier then this- unless you buy store bought bread. This recipe only has 4 ingredients, takes just 5 minutes of hands-on time, and does not even require any kneading. 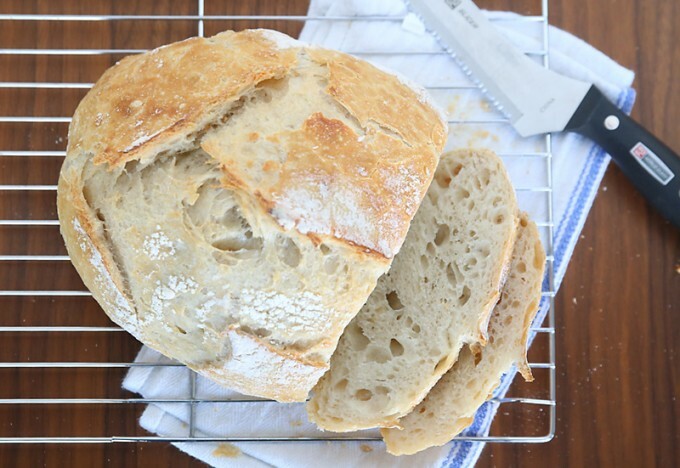 Ready to try your hand at baking this Easy to make homemade Artisan bread? Click here for full recipe from Its Always Autumn.